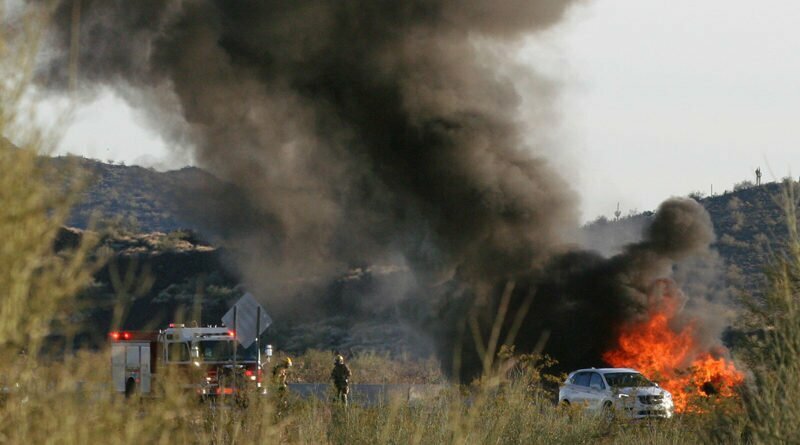 A vehicle fire on I-17 at rush hour Tuesday evening sent a plume of black smoke over the east side of Anthem. 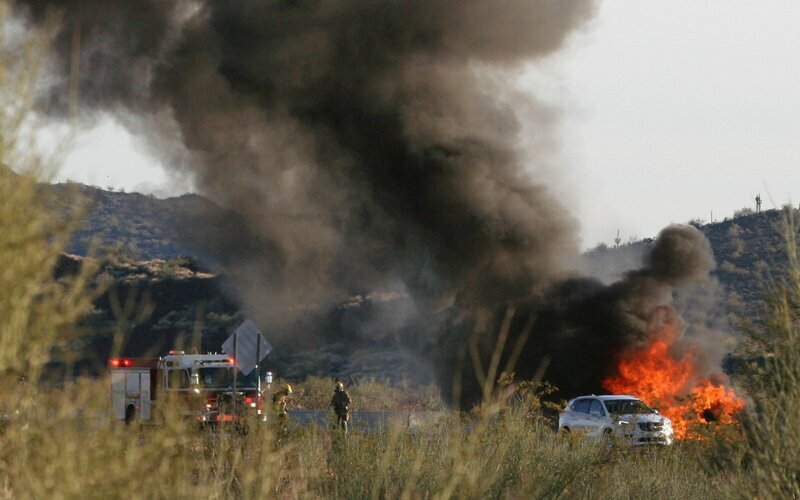 The fire was in the leftmost northbound lane, and traffic was able to pass on the right shoulder, according to ADOT. Southbound traffic was not affected. 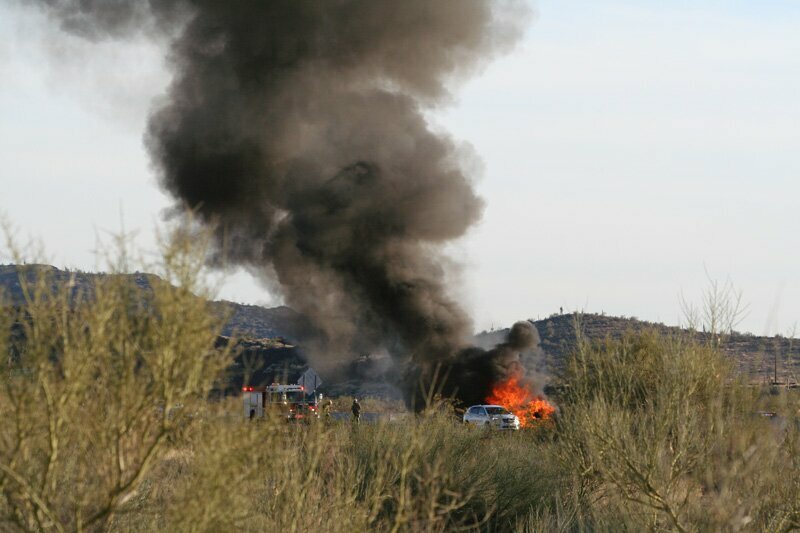 By about 5:45 fire crews had doused the flames and the smoke turned white. 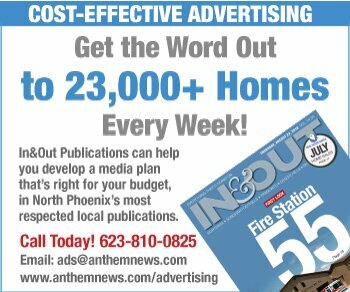 ADOT said to expect heavy delays. As of this writing, there was no word of the cause or whether anyone was injured. 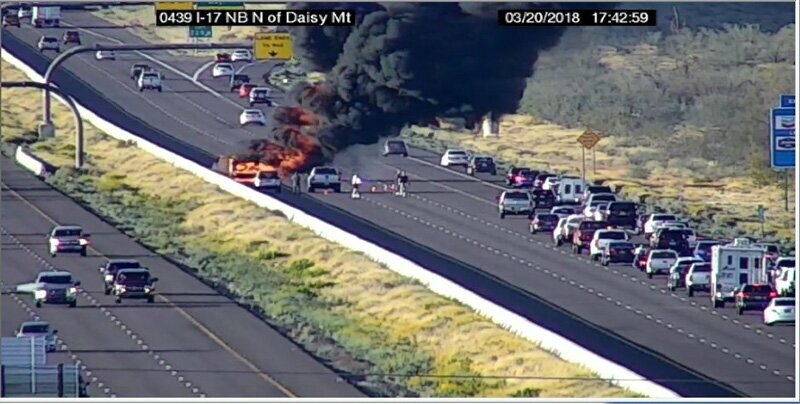 ADOT captured this view of the fire in the northbound lanes of I-17 near Anthem.